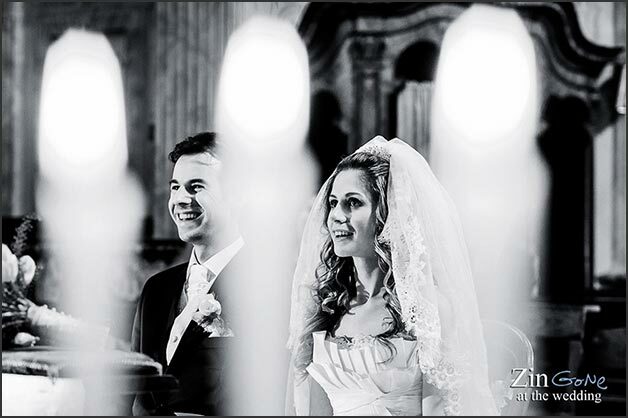 Madonna del Sasso Church and a sweet Brazilian Couple! 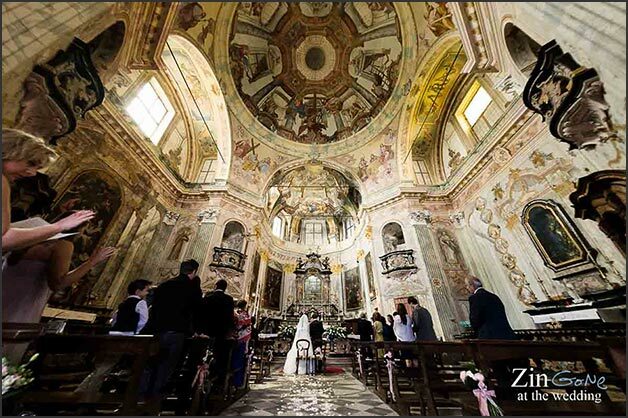 It is been a little while since we last told you about weddings at Madonna del Sasso Church on Lake Orta. Today we go back up there with a wonderful Brazilian couple Franciele e Vicenzo. 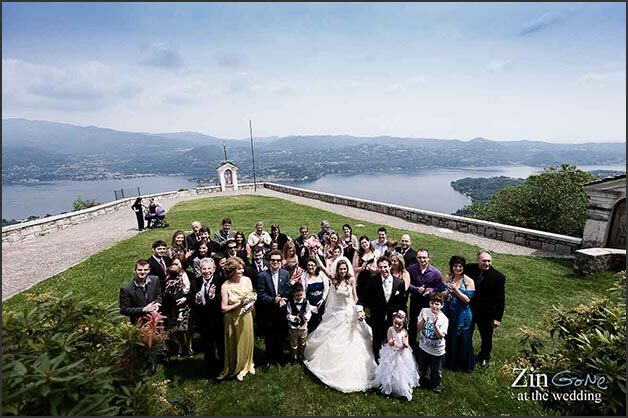 Madonna del Sasso church is an amazing venue for catholic ceremony on Lake Orta. 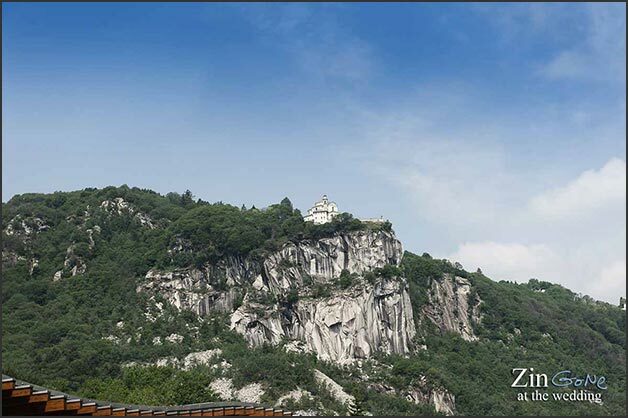 It is located just on top of a rock and from there you could enjoy the most amazing view of all the Lake… just perfect for your wedding photos after the ceremony! Let me tell you about sweet Franciele and Vicenzo. 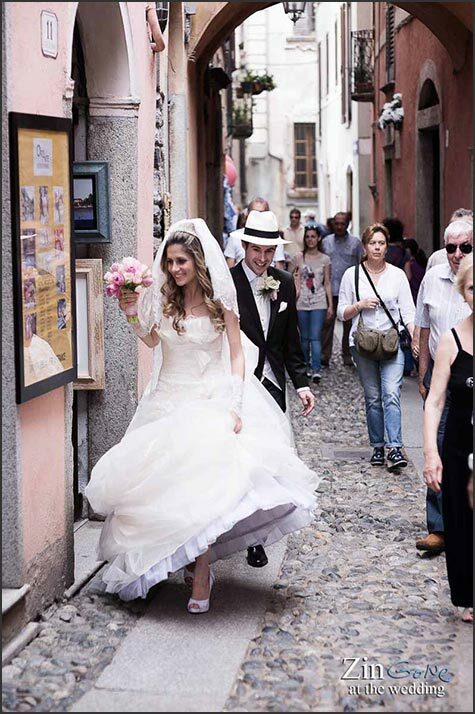 They came from so fare away for their Italian Wedding. Both of them have Italian heritage and an Italian wedding for them was a dream. I was so pleased and happy to make this dream come true. 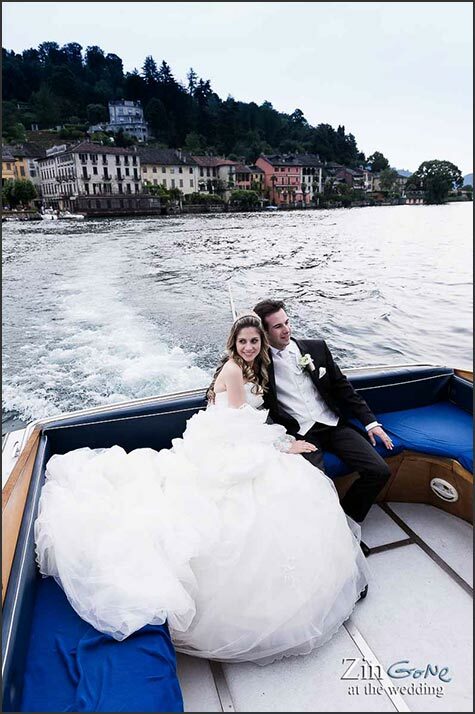 After touring different Lakes or our District Franciele and Vicenzo opted for romantic Lake Orta for their wedding. Being both Catholic they preferred a religious ceremony and among all the churches in Orta they opted for Madonna del Sasso church. For some reasons it is less chosen, maybe because is a little further from village of Orta but I can ensure that the church itself and the view is just one of the most amazing you could dream…. 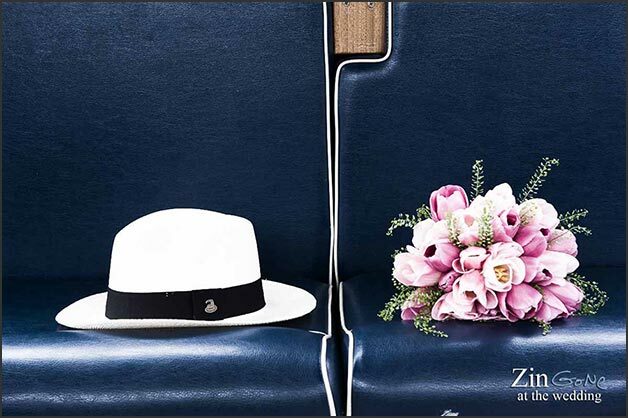 just ideal for Franciele’s dreamy wedding. 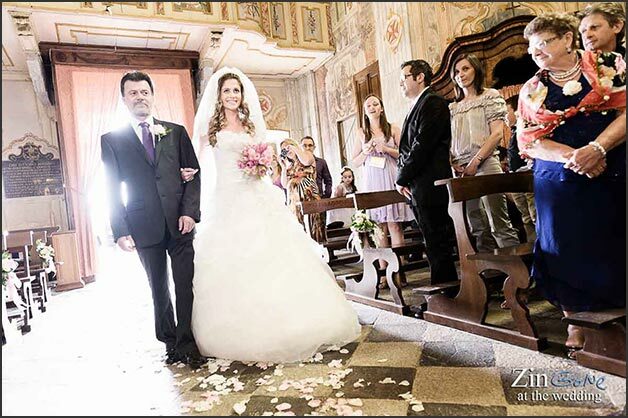 For their staying Franciele and Vicenzo decided for San Rocco where they both got ready. 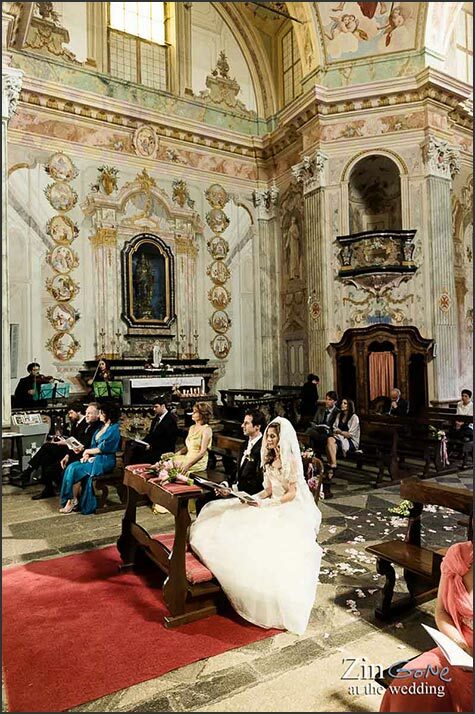 When everybody was ready we all moved to Madonna del Sasso church. Franciele was just stunning in her dress, she seemed a princess, a young pretty star! Group of family and friend was not huge but I can ensure that it really seemed a royal wedding. Being a late Spring wedding Franciele was lucky still find tulips for her bridal bouquet just like she wanted. 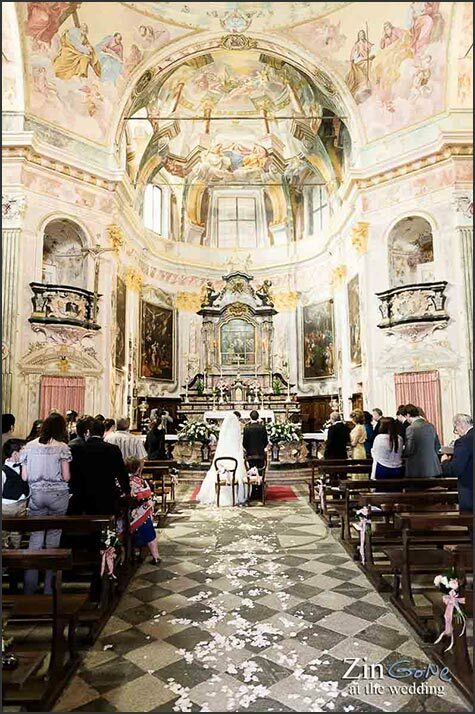 Her theme color was pink, most of all to match the light pink you can see in the frescos of Madonna del Sasso church. Ceremony was moving and very sweet, conducted all in Italian as both bride and groom speak Italian thanks for their Italian heritage. 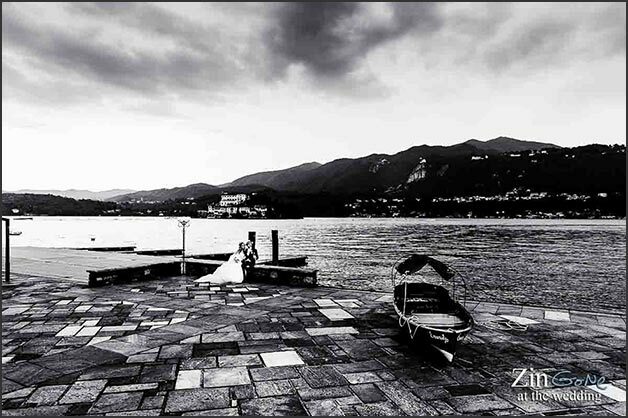 After the ceremony Franciele and Vicenzo took some time to take some photos in the garden of Madonna del Sasso church. 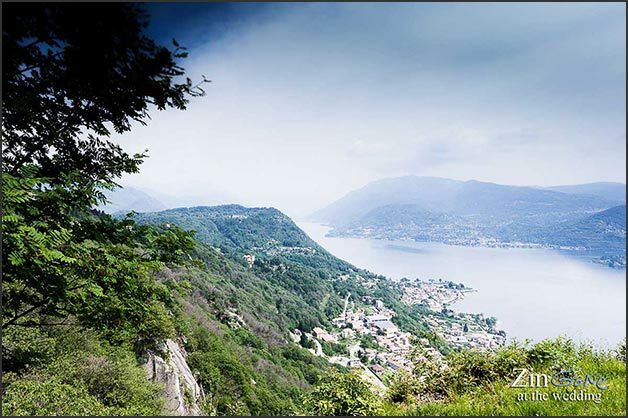 The location is perfect for stunning pictures, panorama on Lake Orta is just beautiful… from Madonna del Sasso terraced garden you can see whole shape of Lake Orta, St. Julius Island and all little villages that dot the coast. Franciele was over the moon! You can see it in her eyes and smiles! Right after they decided to come back in Orta for some more photos! 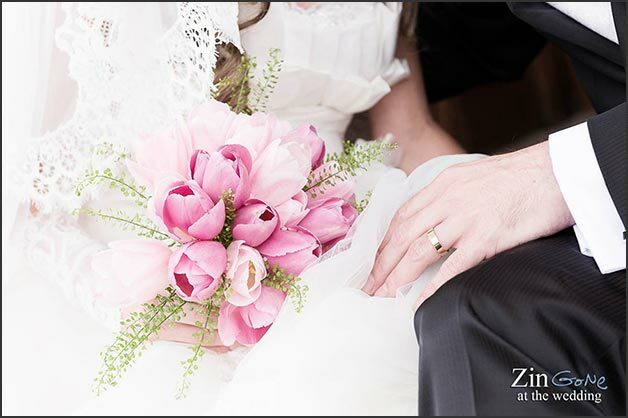 ALESSANDRO ZINGONE PHOTOGRAPHER did a great job! You can see it in these lovely shots here. A boat trip for their own and then it is time to Party! 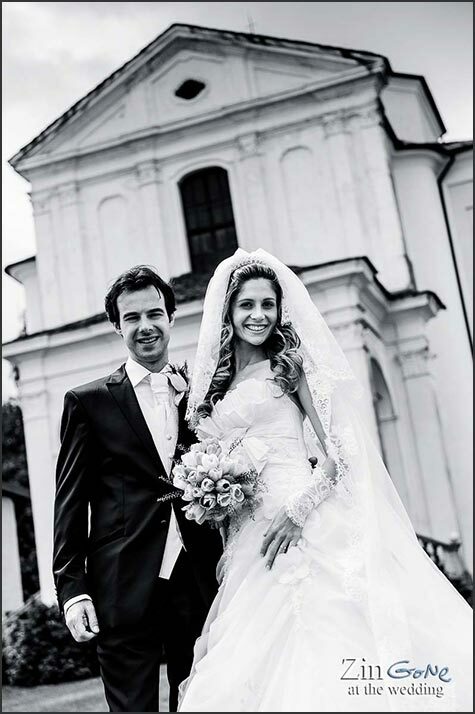 For their wedding reception Franciele and Vicenzo decided for a late lunch at SAN ROCCO HOTEL. A relaxing wonderful lunch with all family and friends amazed by the beauty of Lake Orta. 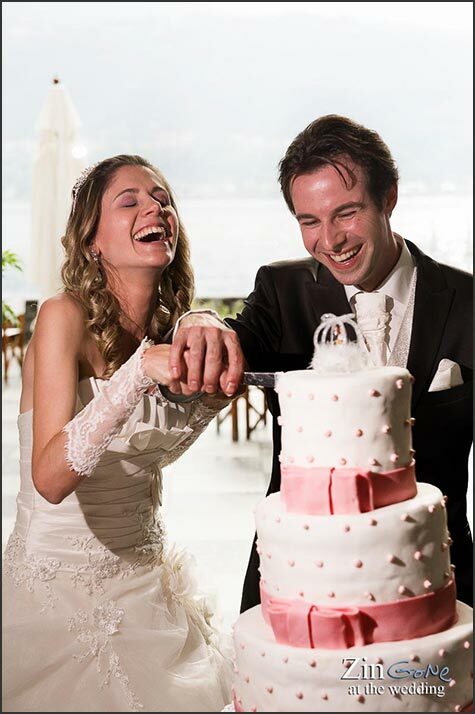 The masterpiece of the lunch was the big white and pink wedding cake Franciele wanted! You can see it here! It was perfect just as she wanted. 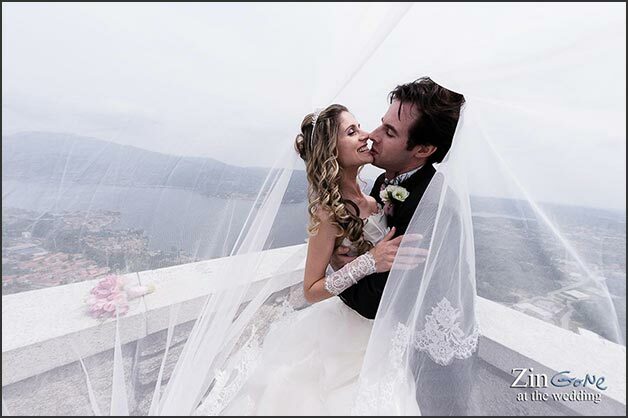 We leave Franciele and Vicenzo here… in their dream wedding in Italy and let me say that they were so sweet and kind with me that I will always remember them! 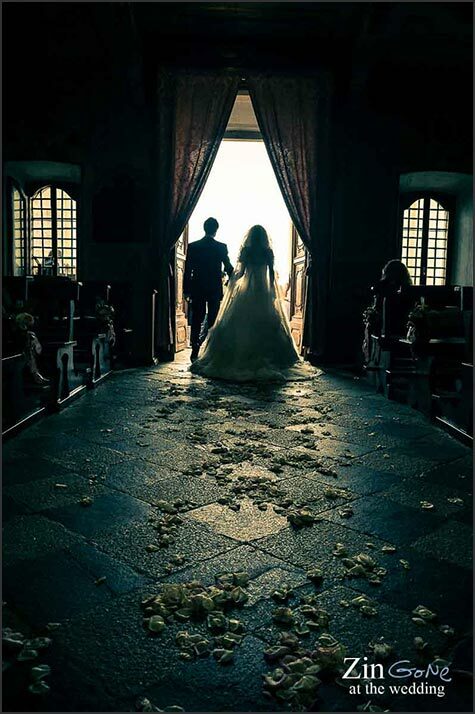 If you are thinking about something special for your wedding on Lake Orta and you are keen for a Catholic ceremony, it could be a good idea considering Madonna del Sasso church. 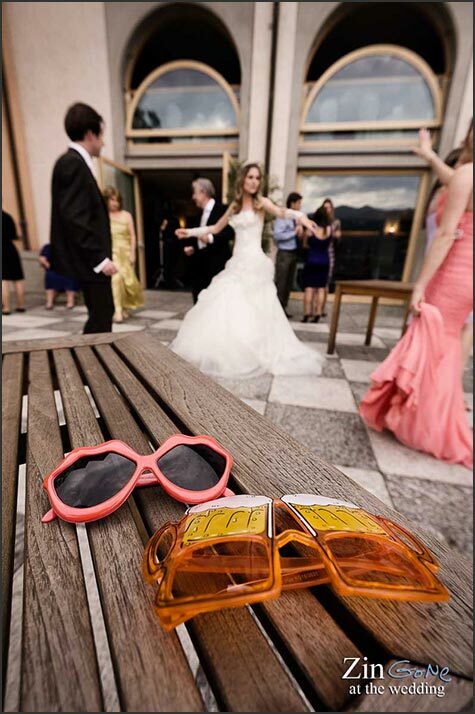 Even if require a little transfer from Orta village, it could be a magic set for your wedding with a view on Lake Orta. The church inside is just amazing and the view is something you cannot miss. It worth a travel from so away… from Brazil for example, as Franciele and Vicenzo did!